On 1 Janu­a­ry 2018, for­mer vice chair Ste­fa­an Van­dae­le offi­ci­al­ly took over the chair­manship of Gro­wing Media Euro­pe from Nor­bert Siebels, who step­ped down from the posi­ti­on in the cour­se of his upco­m­ing reti­re­ment end of 2019. 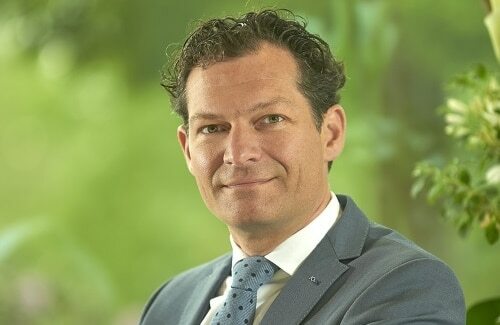 As Board Mem­ber, vice chair and later chair of EPAGMA (the pre­de­ces­sor asso­cia­ti­on of Gro­wing Media Euro­pe), Nor­bert Siebels has been a lea­ding figu­re and a power­ful dri­ving force in the industry´s inte­rest rep­re­sen­ta­ti­on on European level sin­ce 2004. In his posi­ti­on as chair­man of Gro­wing Media Euro­pe, he was ent­rusted with the tran­si­ti­on to the new asso­cia­ti­on and its suc­cess­ful kick-off in 2016. “The mem­bers of Gro­wing Media Euro­pe and pre­vious­ly EPAGMA owe Nor­bert Siebels gre­at gra­ti­tu­de for his pas­sio­na­te com­mit­ment, con­stant enga­ge­ment and far­sight­ed decisi­ons, that were instru­men­tal in paving the way to suc­cess for both asso­cia­ti­ons,” decla­red Ste­fa­an Van­dae­le, who was desi­gna­ted to suc­ceed Nor­bert Siebels fol­lo­wing an unani­mous decisi­on of the Board Mem­bers last year.